Capcom’s legendary Mega Man franchise hasn’t been getting its due as of late, but the publisher promised that more is coming very soon in a livestream celebrating the series’ 30th anniversary. 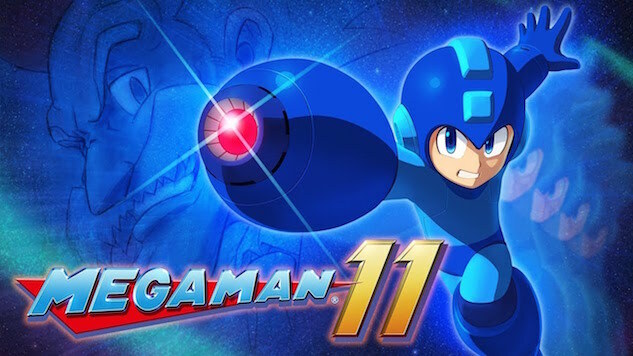 Along with the release of a Mega Man X Collection and the original Legacy Collections coming to the Nintendo Switch, Capcom announced a proper sequel titled Mega Man 11. Mega Man 10 released in 2010, but unlike 9 and 10, 11 doesn’t inhabit the same NES-style pixel art of the original games. Instead, this new 2D side scroller utilizes 3D graphics for a “2.5D” experience. Producer Kazuhiro Tsuchiya and director Koji Oda both spoke during the livestream, promising that more information about the game would come in the summer of 2018. The trailer is certainly impressive, but fans are moreso hoping that this title will be a comeback for this style of gameplay after the ill-fated Mighty No. 9 from Comcept and Mega Man artist Keiji Inafune. Mega Man 11 will be on PlayStation 4, Xbox One, Nintendo Switch and PC in late 2018. Check out the trailer below.